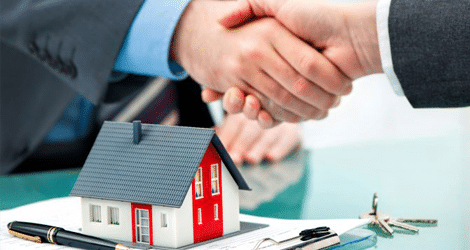 Nanda & Associate Lawyers experienced and trusted real estate lawyers in Mississauga. While we appreciate the recognition, our mission has always been to exceed client expectations and to produce tailored solutions to meet our client’s legal needs. Our knowledge and experience come from decades of practice in the fields of residential and commercial real estate law across the Greater Toronto Area, Mississauga, Brampton, Vaughan, Markham, Richmond Hill, Ajax, Whitby, Pickering, Scarborough, Etobicoke, Oakville, Milton, Burlington, Kitchener, Waterloo, Halton, York Region, the Region of Peel, and the rest of Ontario. We have represented clients in a wide range of real estate matters including multi-million dollar real estate transactions. Whether you are buying, selling, or re-financing a house, a condominium, or a commercial building, Nanda & Associate Lawyers has a tailored solution for you. Our dedication and expertise over the years have also allowed us to build strong relationships Major Lenders, Banks, Trust Companies, and Real Estate Agents, with whom we work closely with to provide multi-faceted legal services to our clients in a timely and cost-effective manner. We also act for all Major Lenders Banks, and Trust Companies, in real estate transactions, where our firm will be able to complete your transaction with your choice of Lender. We take pride in providing prompt, accurate, and reliable legal information. Our hands-on expertise in Real Estate Law, combined with our decades-long experience in civil litigation, provide you with the confidence you need to move forward with your real estate needs. Our extensive knowledge of Real Estate Litigation and Real Estate Law will help you tackle any issues that arise in your real estate closing. Whether it be a breach of the Agreement of Purchase and Sale, foreclosure and power of sale, mortgage and loan enforcement, Buyer Representation Agreements, title disputes or title insurance claims, Nanda & Associate Lawyers will provide you with your best legal options to assist you in resolving issues that arise in your real estate closing. Nanda & Associate Lawyers provides free consultations and closing costs quotes, with no-obligations. So contact us today to speak to one of our many talented and motivated Real Estate Lawyers. Trust us with your real estate needs! Our lawyers have decades of experience in commercial and residential real estate matters. Contact for a free consultation today! I have been with Nanda & Associate Lawyers for the past 15 years. I believe that is a significant testament of my confidence in their services and professionalism. Will continue to maintain this relationship in the future. Simram and Justin were great. They were very details and helpful. This firm is very professional and all interactions are handled with sufficient level of detail. Questions and inquiries are also addressed timely. Intake process is above board and leaves you feeling that you are in good hands. I’ve done four transactions with these folks recently and will definitely recommend their services. As usual please do your due diligence on costs. I really appreciate excellent Services,knowledgeable lawyer, cooperative and knowledgeable team and great price for my real estate file.Thanks Hargeet Kaur for everything. I recently sold my home and used Nanda & Associates. Selling your home can be a stressful time but with Nanda i felt at ease with the entire process. They went above and beyond. I highly recommend using their services. Excellent and professional service. Very down to earth people. Highly recommended!! Dear Mr nanda, I am very happy with your services you have done my house and commercial unit closing in the past and now closing of my condo this year I am very happy and worry free for all my legal needs with your law firm. Service was ok. I wasn\’t to happy in not getting responses in a timely manner. Call Nanda & Associate Lawyers contact to assist you with real estate legal services in Toronto and the GTA.